When talking cigars, one generally thinks of packaging made of tin or wood. But this solution made of cartonboard has numerous advantages: it saves on resources, is more environment-friendly and amazingly lightweight, leading to considerable savings in logistics. And it allows perfect visual design. Yet further proof that cartonboard packaging has its place in packaging areas otherwise dominated by materials which are less resource-saving and less environment-friendly. 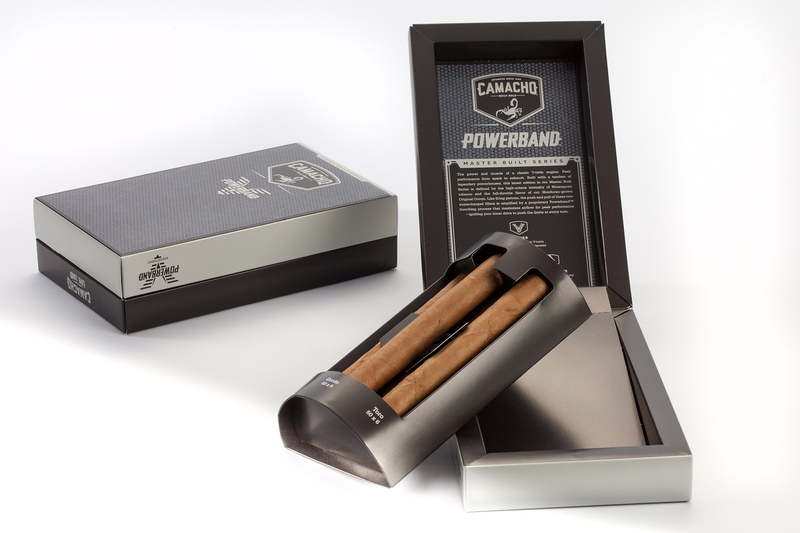 The connection between lid and base creates a lifting effect when opening, thus perfectly presenting the three premium cigars. The cavity wall packaging with machine-applied magnetic closure adds to the value of the product. The rounding of the inlay is reminiscent of a barrel. The shape of this version has proved so convincing that it is also being used for other product versions under the name of “Half moon” shape. The masculine and reduced design only features black and grey and reminds strongly of metal motorcycle elements. The packaging leaves no doubt about the target group: real men! 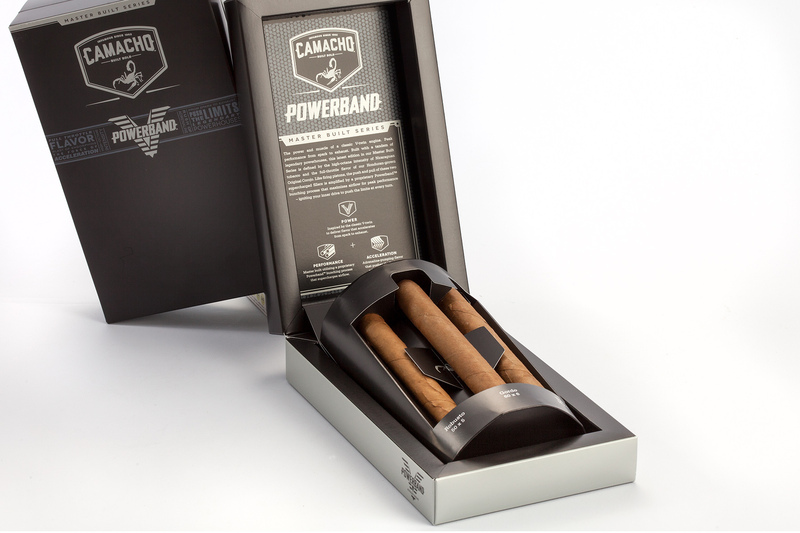 A completely new way of presenting cigars using cartonboard instead of tin. Very eye-catching and totally unexpected giving rise to a lot of interest from the judges. Elegant, versatile, robust, shelf-ready, minimalistic - this is how this carton presents an abolute top product. 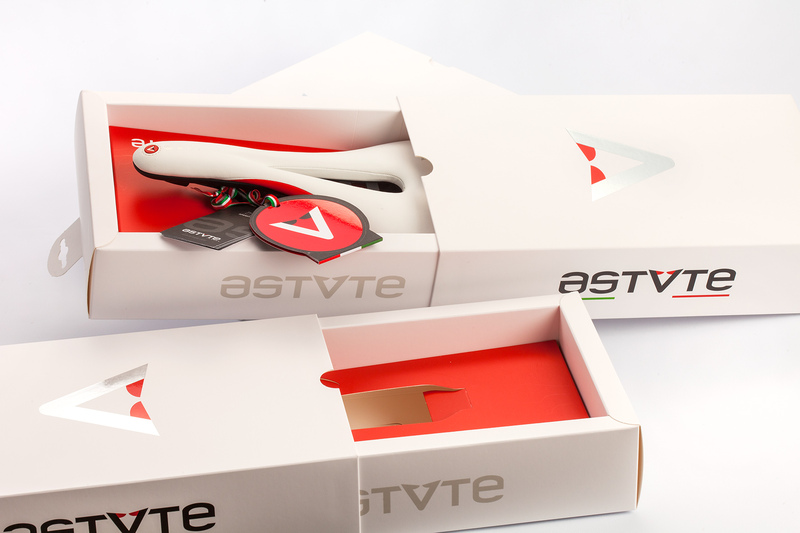 Owing to the three-part packaging, the saddle remains firmly connected to the base where it is protected from falling out through a special anchor. The collection can also be wall-mounted. 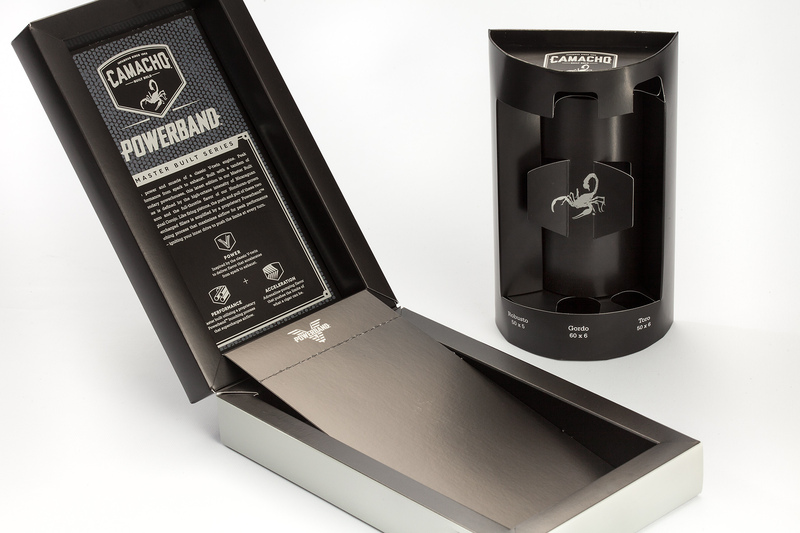 The flexibility of the presentation with a part of the packaging was the key to global success! Attractive, sustainable, innovative and practical to use – this triangular carton simply has everything good packaging needs. It is sustainable, not just because it is made of cartonboard only, but also due to its storage function. The customer had asked for a recloseable carton as normally only individual batteries are removed from the pack and the others stored. 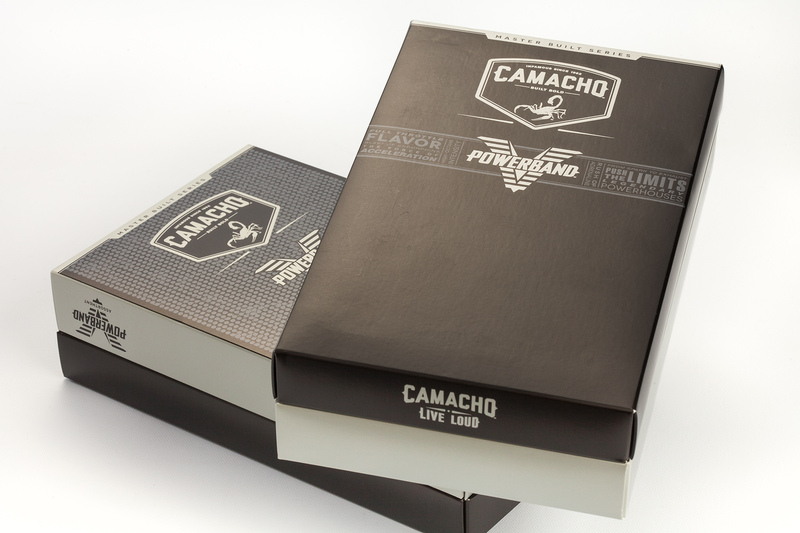 This carton is a magnificent example of the options offered by cartonboard. The idea was to replace an existing pack through a better one in every respect: the customer wanted an even more sustainable pack than before, it was to be easy to handle while being robust and efficient for storage. The benchmark was high and one thing was clear: the answer could only be cartonboard. 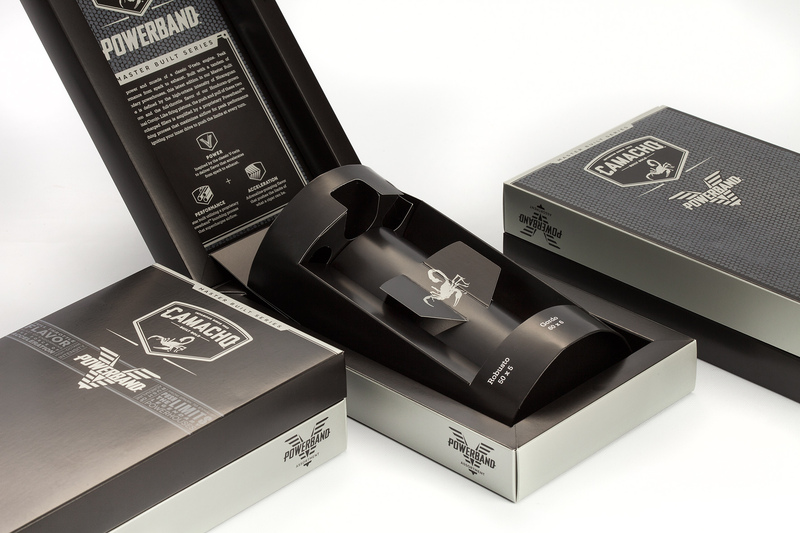 Normally such products are packaged in plastic packs, but the customer wanted something new: the presentation of the product was to be young, dynamic and luxurious. 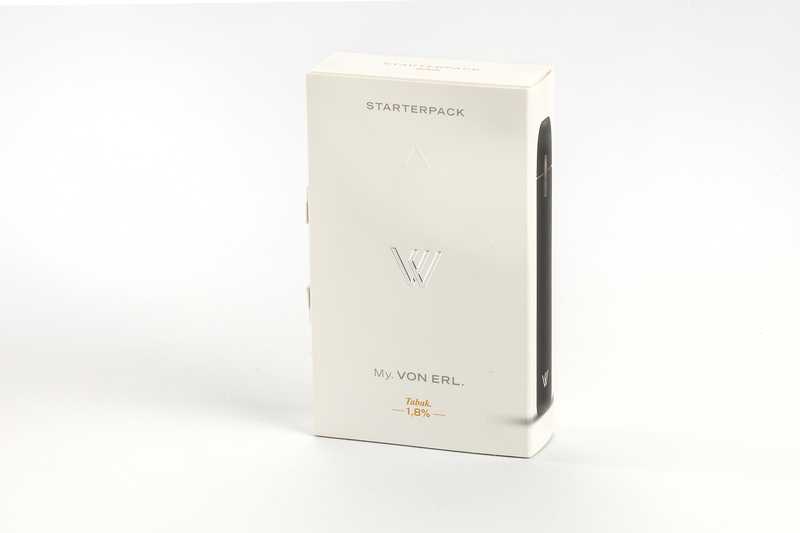 Therefore the conscious decision to go for high-quality cartonboard packaging was taken. There are four different product lines - all can be presented on one display. Various types of finishing were used in production. Brand Owner: Volvo Nieuwenhuijse Sleuteldossje Incl. 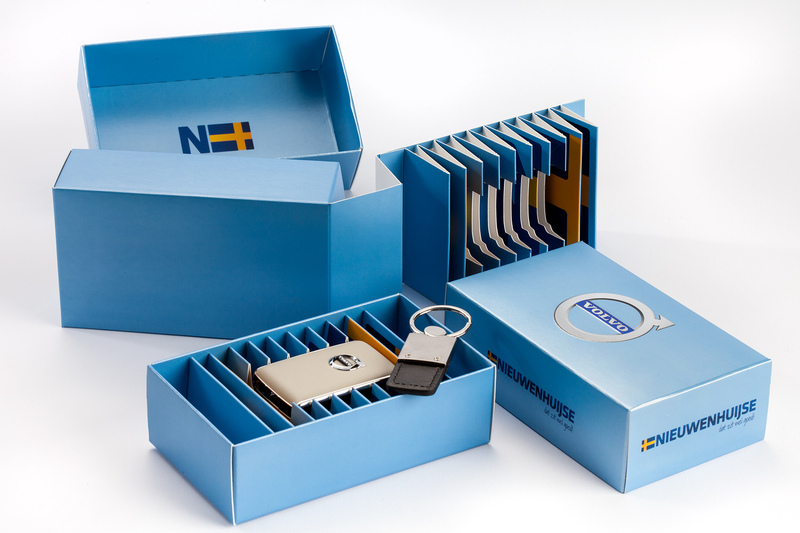 The order was to create a truly unique storage option for keeping spare car keys - and it was to reflect the features of the brand. 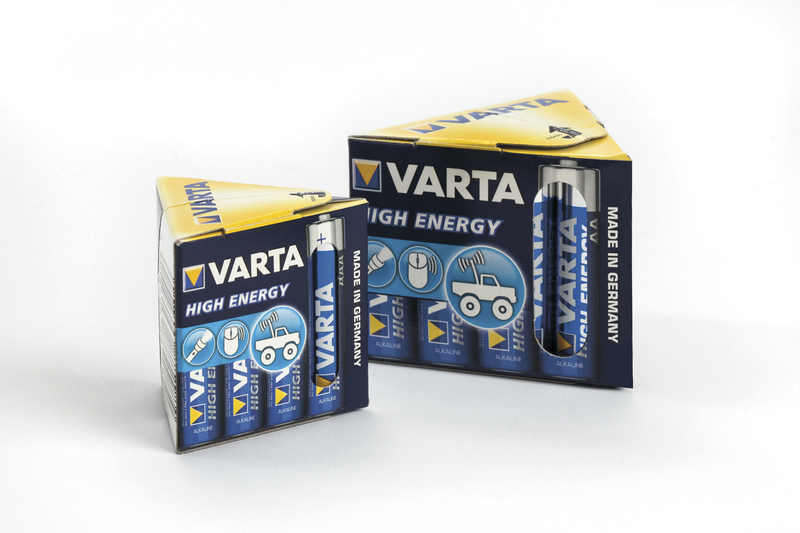 The successful application of graphic elements such as 3D embossing on a pale blue metallic surface and the classic "crumple zone" in the interior of the carton have created an unforgettable carton which also includes the name of the local car dealer.